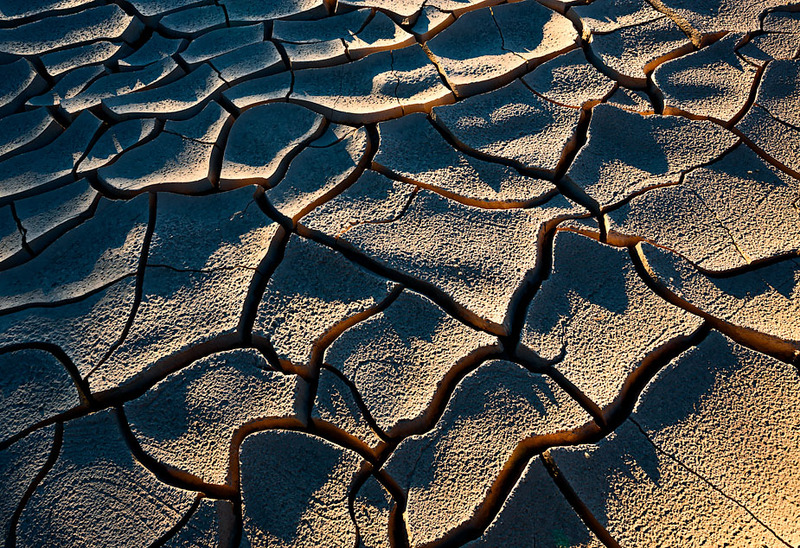 Cracked mud in the Mojave Desert of California and Nevada. 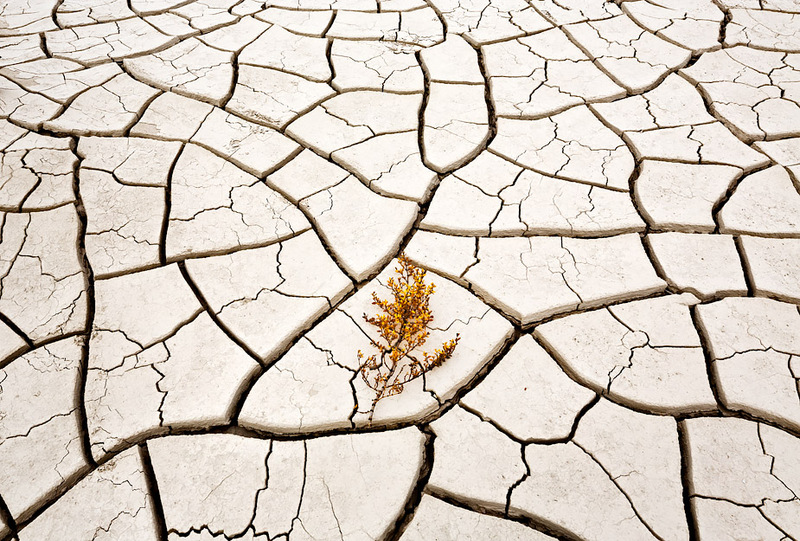 …When two growing cracks meet, one or both may stop. If a growing crack encounters a preexisting crack, it stops, but it may curve just a bit before the encounter. The earlier crack released the contraction stress perpendicular to its course but not the stress parallel to it. The advancing crack curves a bit to become more perpendicular to the remaining stress. 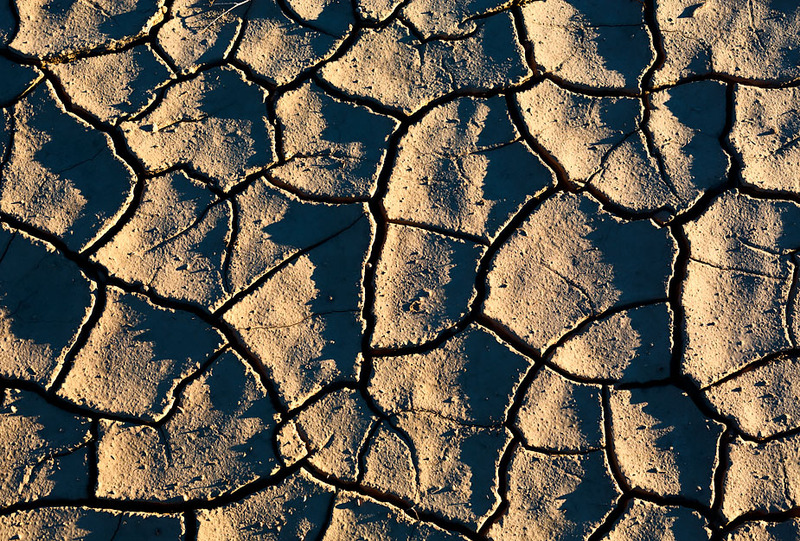 Mud-crack patterns graphically display this relationship because soft mud responds more sensitively than hard rock to these stress relationships. 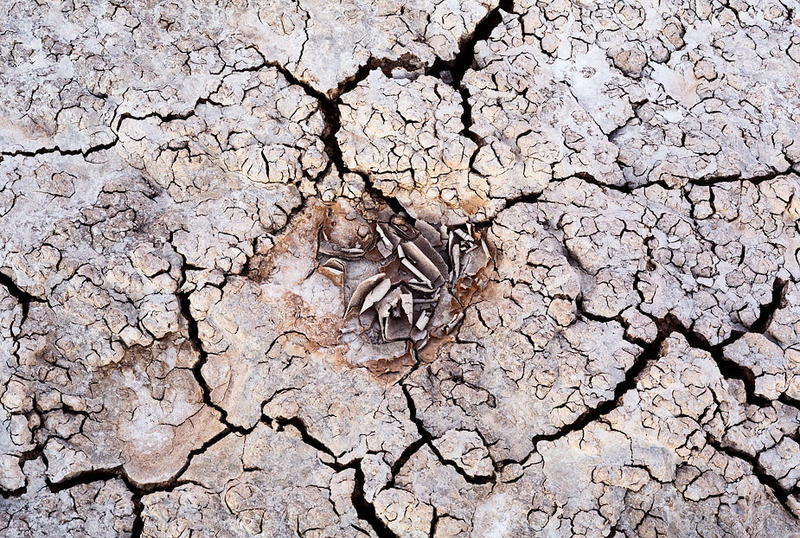 One mud crack may conspicuously curve to intersect another mud crack at right angles. 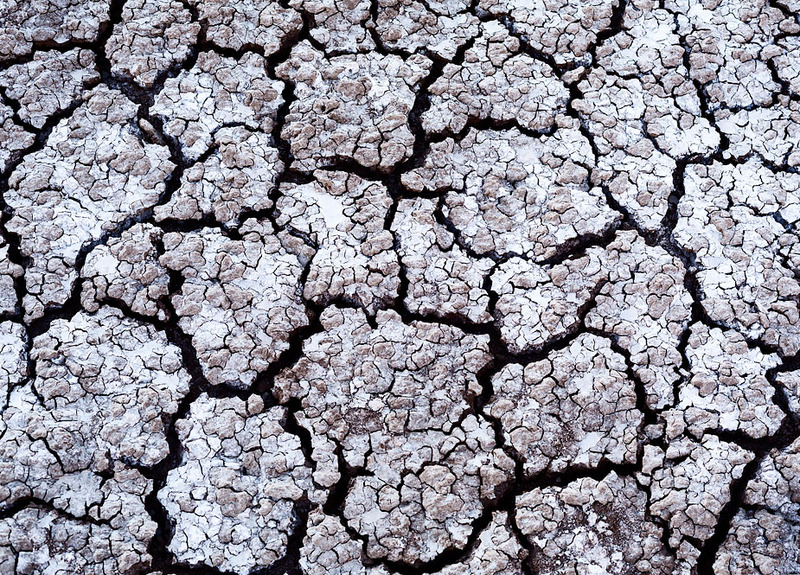 In mud, where one crack is straight and one is conspicuously curved, the straight crack is older. From: Geology Underfoot in Death Valley and Owens Valley (p. 276) by Robert P. Sharp and Allen F. Glazner, Mountain Press Publishing Company, 1997.